Definition at line 44 of file llpanelcontents.h. 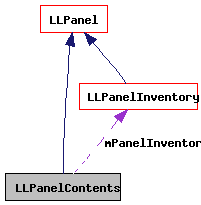 Definition at line 90 of file llpanelcontents.cpp. Definition at line 97 of file llpanelcontents.cpp. Definition at line 103 of file llpanelcontents.cpp. References LLPanel::childSetEnabled(), FALSE, gAgent, LLSelectMgr::getSelection(), gSelectMgr, LLAgent::isGodlike(), LLAgent::isInGroup(), LLUUID::isNull(), LL_PCODE_VOLUME, LLViewerObject::permModify(), LLViewerObject::permYouOwner(), LLSelectMgr::selectGetGroup(), LLSelectMgr::selectionAllPCode(), and TRUE. Definition at line 158 of file llpanelcontents.cpp. 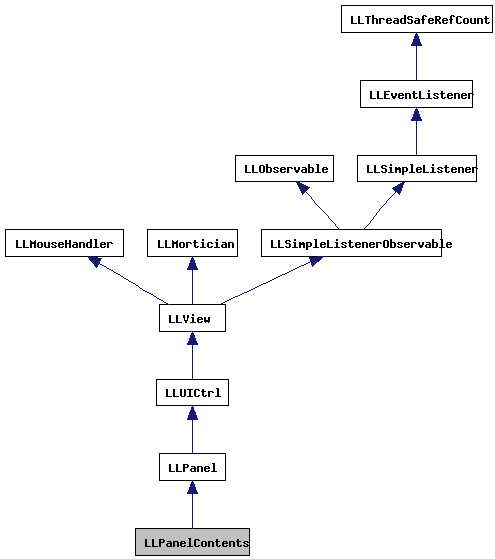 References LLFloaterView::adjustToFitScreen(), LLAssetType::AT_LSL_TEXT, LLSaleInfo::DEFAULT, FALSE, gAgent, LLAssetType::generateDescriptionFor(), LLAgent::getID(), LLFloaterView::getNewFloaterPosition(), LLControlGroup::getRect(), LLSelectMgr::getSelection(), gFloaterView, gSavedSettings, gSelectMgr, LLInventoryItem::II_FLAGS_NONE, LLPermissions::init(), LLPermissions::initMasks(), LLInventoryType::IT_LSL, left, LLViewerObject::mID, LLRectBase< Type >::mLeft, LLRectBase< Type >::mTop, LLUUID::null, LLLiveLSLEditor::open(), PERM_ALL, PERM_MOVE, PERM_NONE, PERM_TRANSFER, S32, LLViewerObject::saveScript(), time_corrected(), top, LLRectBase< Type >::translate(), and TRUE. Definition at line 79 of file llpanelcontents.cpp. References LLPanel::childSetAction(), FALSE, LLView::getRect(), onClickNewScript(), LLView::setMouseOpaque(), and TRUE. Definition at line 139 of file llpanelcontents.cpp. References LLSelectMgr::getSelection(), getState(), gSelectMgr, mPanelInventory, LLPanelInventory::refresh(), and TRUE. Definition at line 59 of file llpanelcontents.h. Referenced by LLFloaterTools::createPanelContentsInventory(), and refresh().